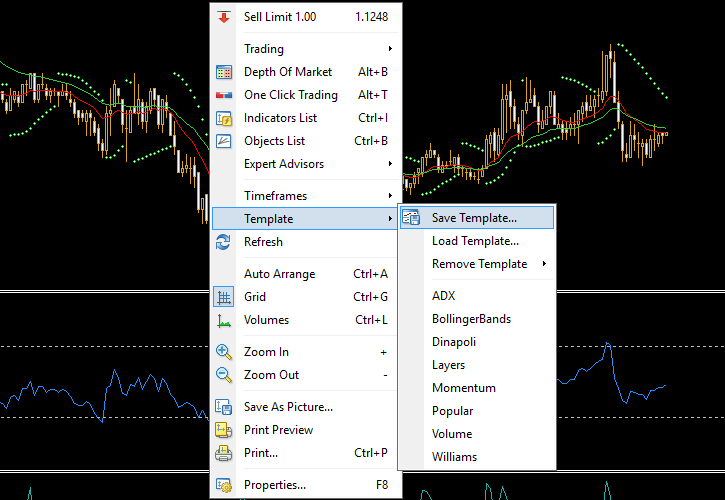 You might already know how to copy input parameters for a single indicator across different charts and platforms. 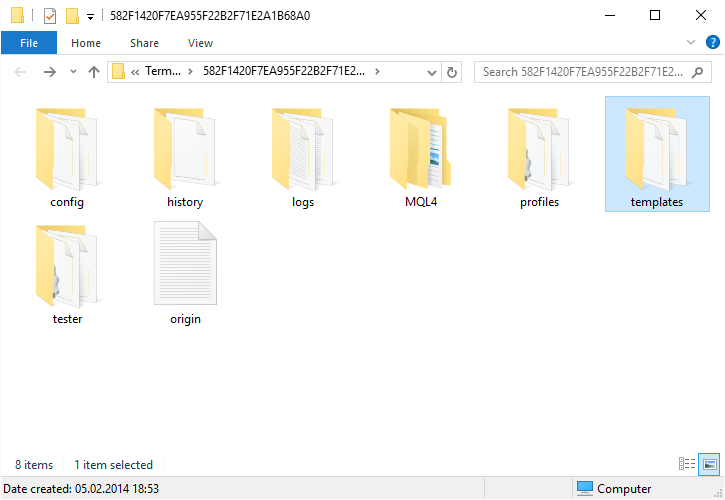 You also might have mastered the power of copying the whole account profiles from one MetaTrader instance to another. However, sometimes, what you need is just to copy one chart — complete with its settings, attached indicators, and graphical objects — or to replicate all that on another chart. 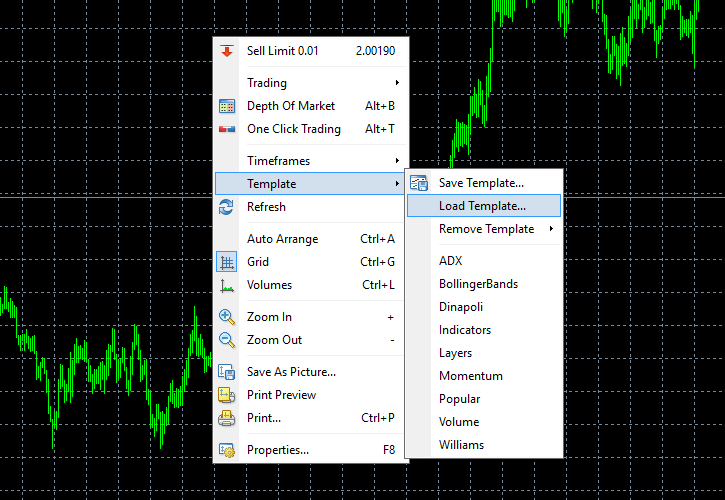 This is where MetaTrader templates come handy. 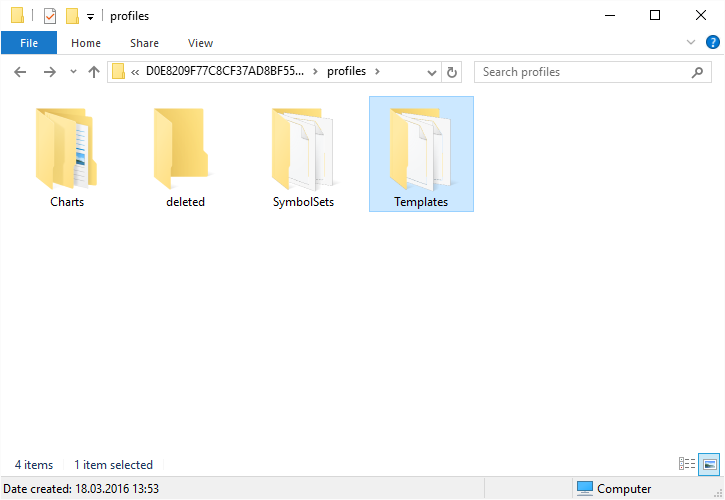 Now, if you want to copy the template for usage in another platform, just follow to the next step. 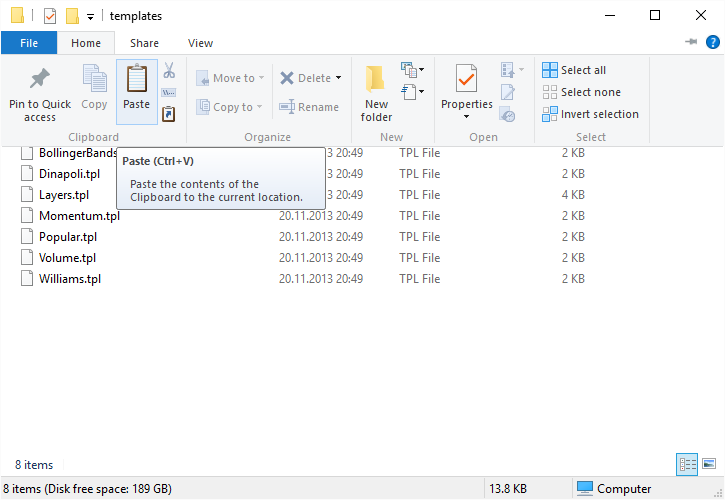 If you only want to load the template in another chart inside the same platform, you can proceed directly to step 8. This is the only difference in handling templates between MT4 and MT5. It is now ready for use in this another platform. The same can be done when you want to quickly load a complete set of chart parameters, indicators, and expert advisors on several charts inside one platform. 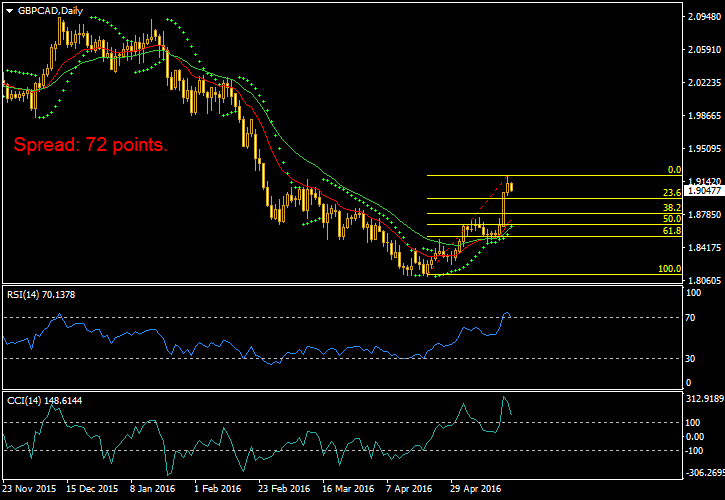 Just save the template once and load it on other charts within the same MetaTrader. 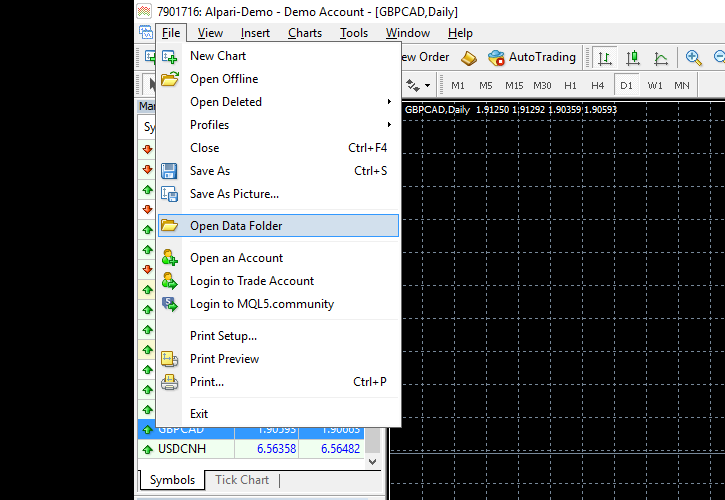 Templates transfer everything (even EAs) except timeframe and currency pair. 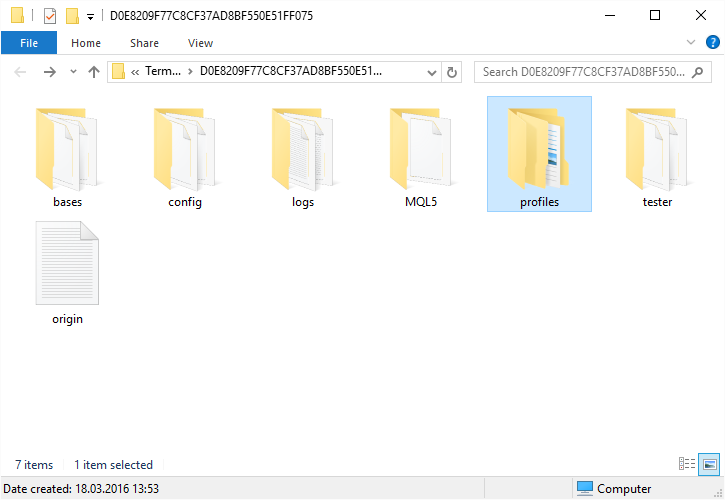 However, you need to have the same custom indicators and expert advisors files in the target platform, otherwise they will not load. 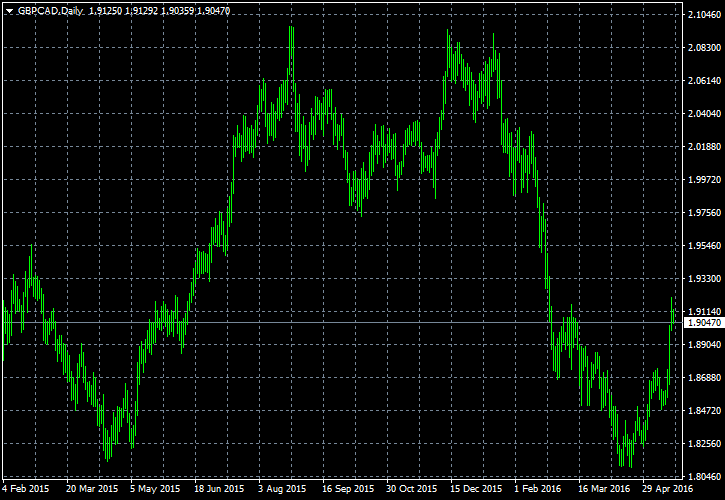 This tutorial is valid for both MT4 and MT5, but do not try loading MT4 template into MT5 chart or vice versa — it will not work, producing a funny looking chart instead. 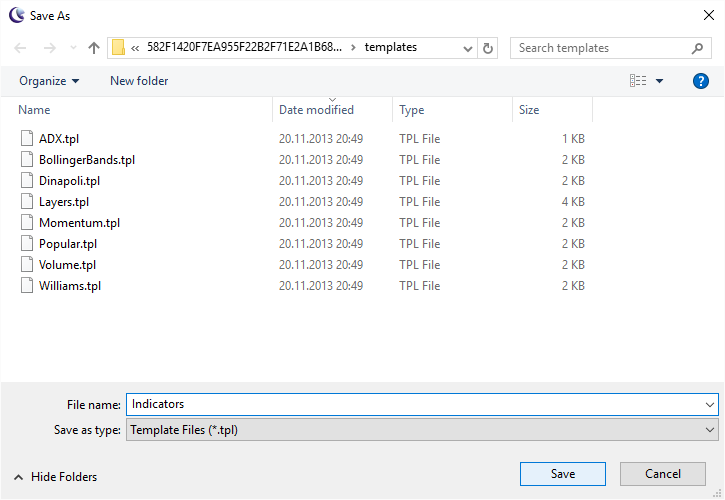 Update 2017-01-29: Updated to reflect new location of Templates folder in MetaTrader 5 platform. 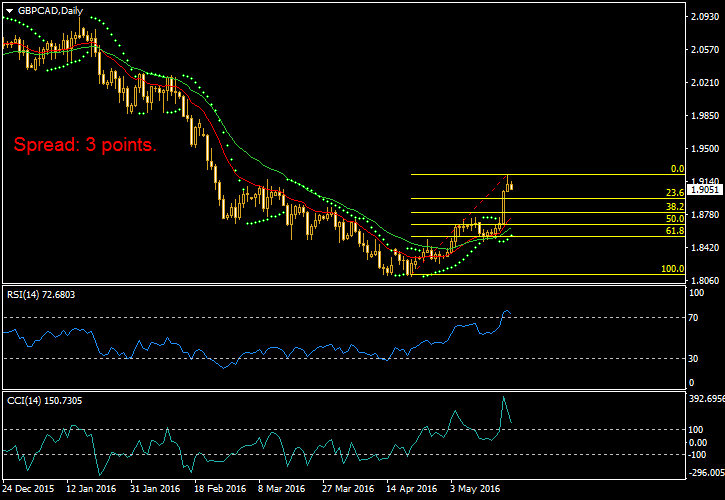 If you liked this tutorial or if you do not understand a part of it and still have some questions about working with chart templates in MetaTrader platform, please leave your replies and ask your questions via the commentary form below. Hi. 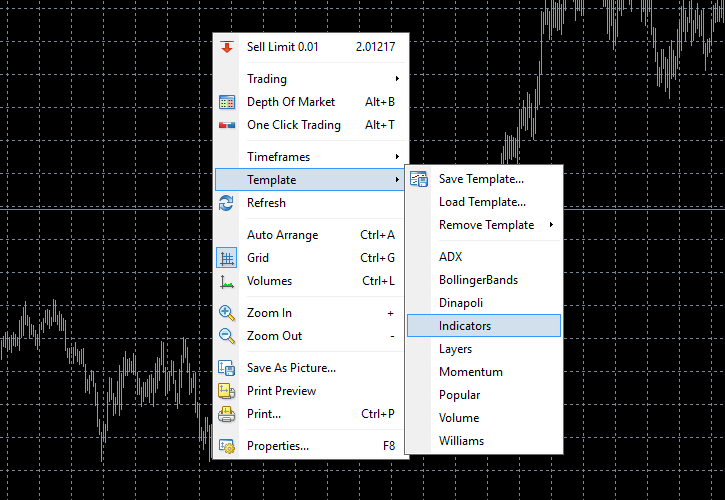 I have downloaded a template which has various indicators on it & installed it on my MT4 trading platform but when I open the template on any trading chart it is not receiving any live feed data & all the indicators are frozen . 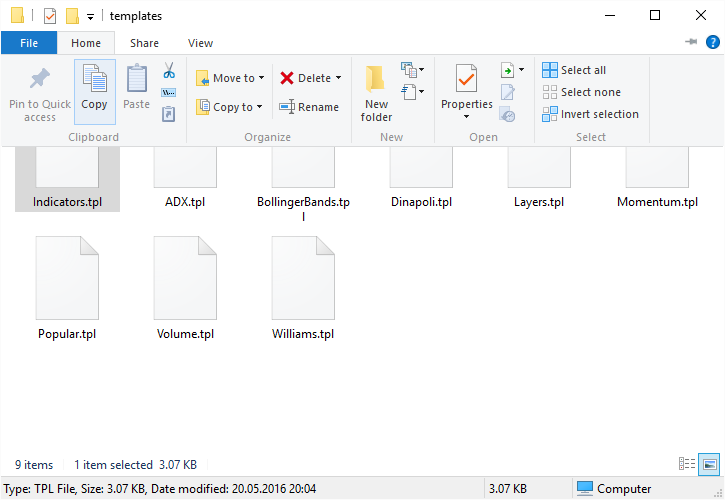 Do I have to also load these same indicators into the template folder in order for them to work or do I have to go elsewhere and change some settings? Any ideas you have to rectify this problem would be greatly appreciated. Thankyou. 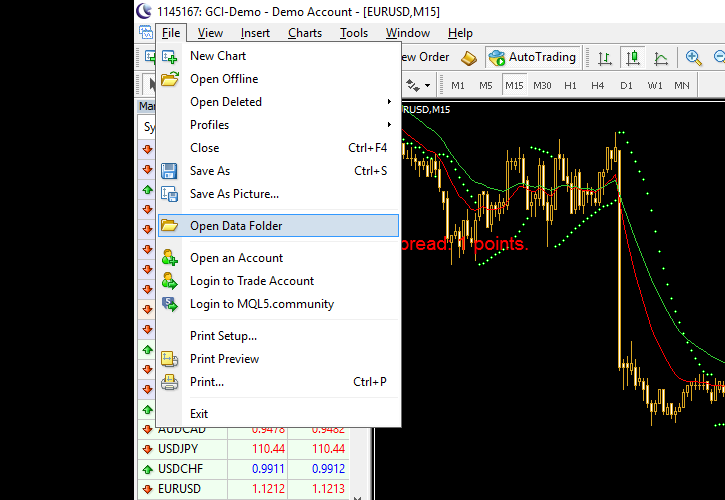 You do need to have all the custom indicators used in the template in the MQL4/Indicators/ folder, but not receiving live feed data is not connected with that. You should be receiving new ticks regardless of the templates and indicators used in your platform. Please check your platform’s connection, account login details, broker server’s connectivity, etc. Your template is really nice, would you mind sharing it? It uses the Spread custom indicator.